The Miss America Organization has thousands of local, state, and national volunteers. Because of their tireless work and dedication, the young women participating in this program can achieve their dreams and earn quality scholarship assistance. 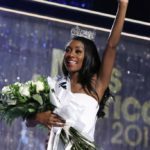 Each year the Miss America Organization is honored to award one outstanding volunteer with the most prestigious volunteer award offered by the Miss America Organization, the Academy of Honor Award. This award is presented to an individual who has dedicated over 20 years of outstanding service at the local or state level. They exemplify the meaning of service and display dedicated support. The 2019 Academy of Honor recipient receives a five thousand dollar grant to benefit their state organization’s scholarship fund. 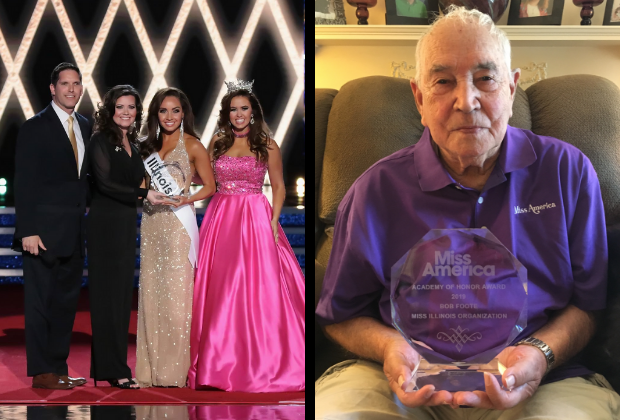 We are proud to announce, Bob Foote, from the Miss Illinois Scholarship Organization is the 2019 Miss America Academy of Honor Award recipient. Foote, began volunteering for the Miss America Organization 59 years ago and in 2017 joined the Miss Illinois Board of Directors. Prior to that, he ran a local competition with his wife, Nancy for 57 years which they started together. From 1997-2016 their local awarded the highest scholarship awards in their state program totaling $142,000 in cash scholarships, in addition to other awards and prizes. He and his wife’s love for this program naturally turned into a family affair with their son and daughter also becoming involved. In fact, 9 years ago, Bob and Nancy Foote, were recognized on the Miss America stage in celebration of their 50th Anniversary Volunteering for the Miss America Organization. Miss America 2019 Performs in Thanksgiving Day Parade!